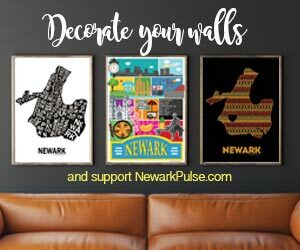 Recently, while a Manny was getting knocked out on one side of the world, Newark's own MANNY was rising yet again to lay down some good soul for the heart beat of our city. MANNY! MANNY! MANNY! MANNY! MANNY! The crowds called for his encore, and he decided to come back on stage. He has been in Newark for 32 years, and he is like our own cultural Angelo Dundee. Manny, who got his entrepreneurial start with the famed menswear staple in the city, Heaven on Earth (Broad Street near Aljira), has always been the guy. With the shop, it was about having that baaaaad outfit for work or the club. I even bought my 1st tie for school from there as a kid. With Mi Gente, which he recently sold, it was about that great rotating lunch special that NEVER disappointed. After his start at age 16 with menswear, and later taking over the business, where we worked for 28 years, Manny later went on to found Cafe Eclectic in Montclair. Later he kept the vibe going with the artfully decorated and aforementioned Mi Gente. He always ends up in Newark as he puts it: "I live here. I work here. Why go somewhere else?" Manny has always focused on freshness. Freshness of the product. Freshness of the service. "Mi Gente - My People." So where can you find Manny now? He has partnered with the new Washington Square Cafe, on the corner of Washington and Linden Streets. He is providing a Latin option for the people, while the cafe's other staples are diner-style options including pizza, sandwiches, gyros, and breakfast fare. With a large dining room, they expect to attract a variety of customers, including residents, students, employees, visitors...The People. And with lunch specials starting at just $5, there are sure to be lines. No need for smelling salts in this ring. Manny's PULSE is just fine!